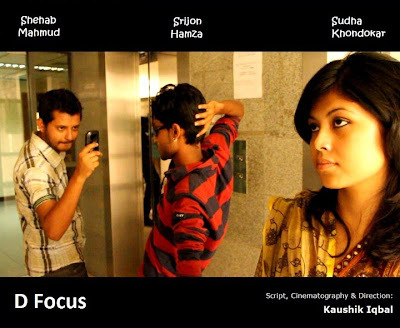 "D Focus" is totally a funny Short Film of mine. This film has been made for the ASA University Cultural Week. The main story of this film is base on university life. 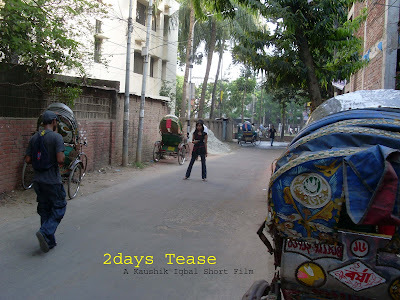 "2days Tease" is a very special short film of mine. Actually its story was very challenging. 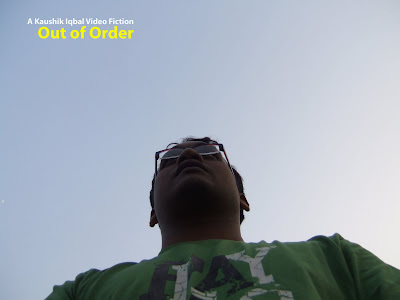 "Out of Order" is my 1st Video Fiction. I shoot it at November, 2009. The main characters of this fiction are Ashiq & Sharony. In my view they did very well. Also lot of others artists including Safkat and Zafreen. My assistant directors were: Safkat (Chief), Priya, Nasim, Ashraf, & Onto. They were simply awesome. All artists & assistants are my very close friends. Hope you will enjoy it. However thanks to all of my family members, friends & well-wishers who appreciated me all the time. Kaushik Iqbal. Awesome Inc. theme. Powered by Blogger.